An Army officer, Major Aditya Kumar, was named in a complaint over the shooting of three civilians in Shopian in January. In an affidavit filed with the Supreme Court on Friday, the Jammu and Kashmir police defended the registration of a first information report against an Army unit over the deaths of three civilians in Army firing in South Kashmir’s Shopian district in January. It contradicted the stand taken earlier by the government of India. The Armed Forces (Special Powers) Act gives the military sweeping powers to search and arrest, and to open fire if they deem it necessary for “the maintenance of Public Order”, and to do so with a degree of immunity from prosecution. Responding to allegations that the police was functioning under political pressure, the affidavit states that no material had been presented that could ascertain the police’s lack of fairness in the probe. “It is false and vehemently denied that the police agencies are influenced by extraneous agencies or political entities or were non functioning or that there was voluntary omission or inaction on part of any civil authority,” it said. 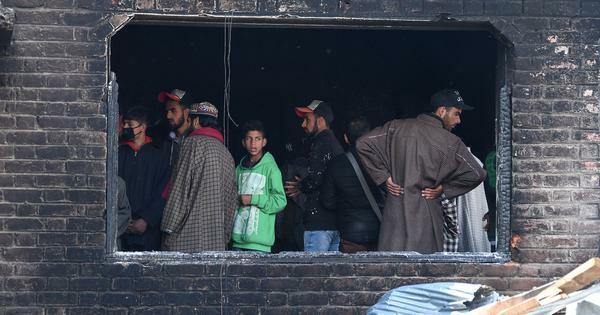 On January 27, residents of Shopian’s Ganowpora village clashed with personnel of the Indian Army after the Army sought the removal of flags associated with the Islamic State from the house of a slain militant. The Army claimed it had opened fire in self-defence. Residents of the village, however, offered a different version of events. They claimed that stone pelting had broken out around 11 am that day, bringing soldiers from a nearby 44 Rashtriya Rifles camp to the spot, and that the soldiers had retreated soon afterwards. Later, residents claim, soldiers returned in greater numbers and resorted to firing from within Army vehicles, killing two civilians. A third man later died of his injuries in hospital. An FIR filed by the police in January mentioned a Major Aditya Kumar as being head of the unit that opened fire on civilians. The FIR was initially registered under sections dealing with murder, attempt to murder and acts endangering life. After the Army responded with its version of events, the police added sections dealing with rioting with weapons, unlawful assembly, voluntarily causing grievous hurt, mischief causing damage to property, and punishment for attempting to commit offences punishable with imprisonment for life, or imprisonment. 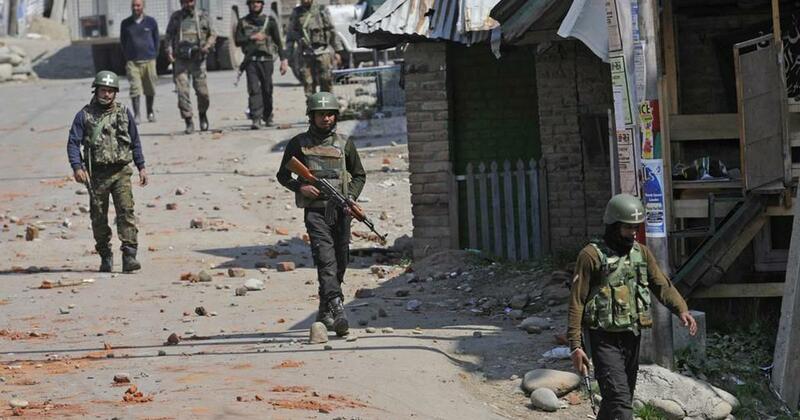 The investigation was being conducted by a deputy superintendent of police in Shopian. Kumar’s father, Karamveer Singh, moved the Supreme Court against the FIR, invoking the Armed Forces (Jammu and Kashmir) Special Powers Act. The police now “vehemently denies the unfounded and baseless apprehensions and allegations pleaded in the writ petition claiming that justice will not be done”. It said that Singh’s petition was devoid of merit and deserved to be dismissed. The affidavit states that the FIR did not arraign Kumar and that an investigation by the police “does not violate any fundamental right of any person, not even that of an accused, much less of a stranger to the investigation proceedings”. The affidavit also points to observations made by the Supreme Court on Section 7 of the Armed Forces (Jammu and Kashmir) Special Powers Act in 2012, in the Pathribal fake encounter case. Drawing on that case, the affidavit stated that “even under the AFSPA, the Army Act or under any other law in force, there is no prohibition of registration of FIR against an army personnel or a requirement to seek a sanction prior to registration of a FIR against an army personnel”. It also argued that not investigating a charges of cognisable offence “would constitute a serious breach of the relevant statutory provisions” as well as violate the victims’ right to life under Article 21 of the Constitution. Also on Friday, a separate application filed in the Supreme Court by the Jammu and Kashmir government’s counsel, Shoeb Alam, seeks to make four North Eastern states where the Armed Forces Special Powers Act is in place “parties to the present proceedings”. It then proceeded to suggest that all states in India may be involved in the discussion, “since the powers of the police of all states in regard to registration of FIR against army personnel involved in cognisable offences may be directly affected”.